3. 1st 10 people to post win N1000 recharge card each. 1. Take a selfie picture with your most important property/person(s). 2. 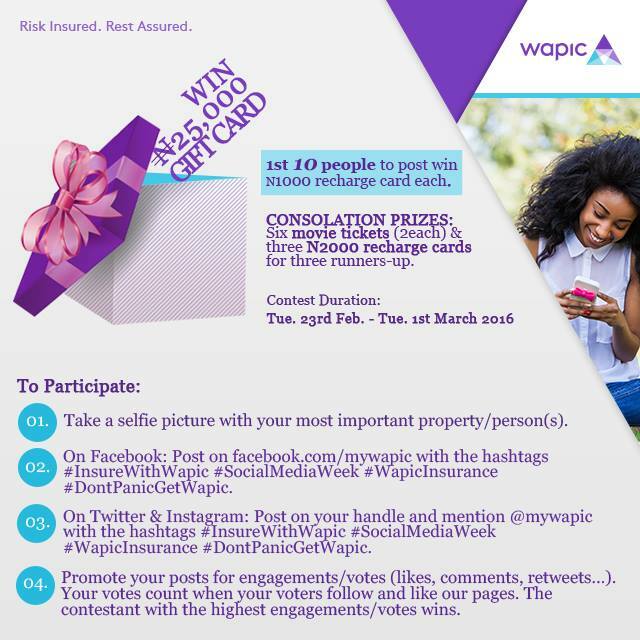 On Facebook: Post on facebook.com/mywapic with the hashtags #InsureWithWapic #SocialMediaWeek #WapicInsurance #DontPanicGetWapic. 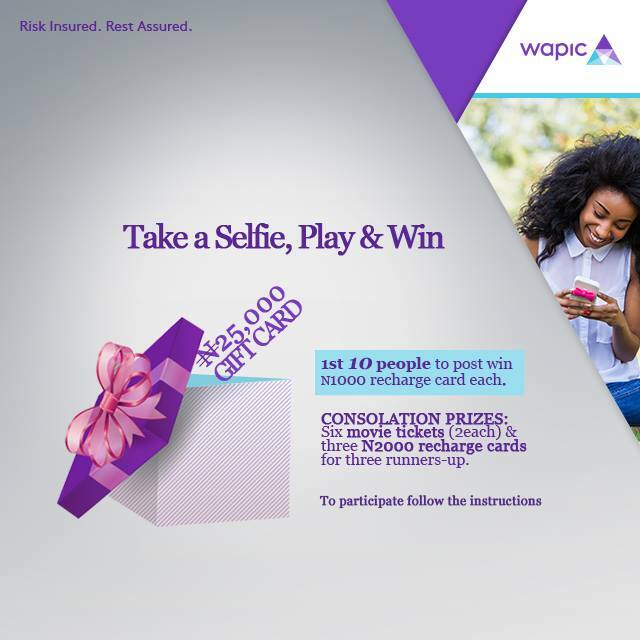 3.On Twitter & Instagram: Post on your handle and mention @mywapic with the hashtags #InsureWithWapic #SocialMediaWeek #WapicInsurance #DontPanicGetWapic. Contest Runs from 23rd February to 1st March, 2016.